In a world that’s changing at an unprecedented speed, staying on top of sales trends can be tricky. But paying attention to trends and the health of our industries is vital to business success. In this one hour webinar, Julia Day, Executive Director of Business Development at NPD Group, provides us with the current realities and future possibilities for our industries, our customers, and our businesses. She will give us insight on what categories are growing in the active-outdoor industries, what’s selling, and what’s next for the innovative market. Julia Clark Day, Executive Director of Business Development, is a retail sales and consumer expert with over 20 years of expertise in sports and outdoor recreation trends. Julia joined The NPD Group upon its 2013 acquisition of Leisure Trends Group, where she held sales and marketing leadership positions for nearly 15 years. Julia shares her expertise with clients in the leisure, sports and outdoor recreation industries. Her unique insight into both retail sales trends and the broad leisure landscape gives clients and industry groups valuable perspective on what consumers do and buy in their free time and the motivations behind their behavior. Julia’s depth of understanding spans footwear, equipment, and apparel sales across all retail channels and covers a range of sports and recreation industries, from fly fishing and hunting to outdoor, running, cycling, paddle sports, and snow sports. She is a sought-after speaker at industry events and is frequently quoted in the media. 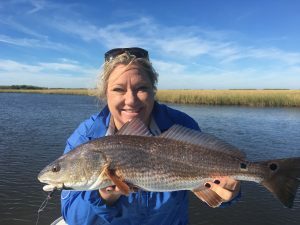 Her outdoor passions include: fly fishing (salt water and fresh), skiing, gardening, and just spending time in the outdoors from kayaking to camping.